Thank you for leaving the question! We are pleased to announce the release of the major update that puts together ScanCenter and ScanMerge in a single software solution with a new renovated interface. All software updates are still free for all RangeVision users. 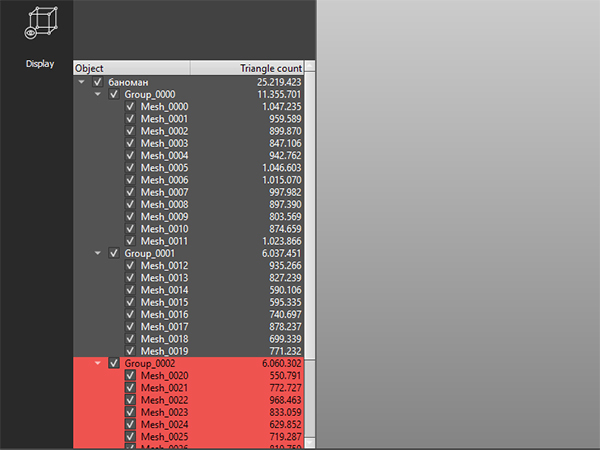 At the request of users we have combined ScanCenter and ScanMerge - now you can scan and process scan data within one interface without the need to switch between several windows. We have completely redesigned the interface, making it more modern, convenient and logically structured. The home screen displays information about the connected equipment and its status, calibration and current settings of the scanner with a fast access to the operating modes. The upper menu contains "Settings" (where you can calibrate and configure the scanner by following the wizard's prompts), "Scanning" (for digitizing objects in the selected mode), "Processing" (for working with scan results and creating the final model). When clicking on them, the corresponding vertical panels with the necessary tools are available. In addition, the program prevents accidental errors (such as scanning without calibration) and prompts for necessary actions (e.g., if the user goes to Scanning, forgetting to open or create a project, the program will prompt him to do it). The whole project in one program and fast access to recent projects. You can open scanning and processing projects in one click. Recent projects are displayed within quick access on the home page. The project tree has been improved, becoming more user-friendly and functional. Now you can delete scans in two ways: from the project and from the PC. When scans are deleted from the project you will still have an option to restore them with the “restore deleted scans” function. When scans are deleted from the PC they are deleted forever, as it was the case in previous versions of ScanCenter. Users who work with complex projects will also appreciate the possibility to set the visibility of separate scans in one click. 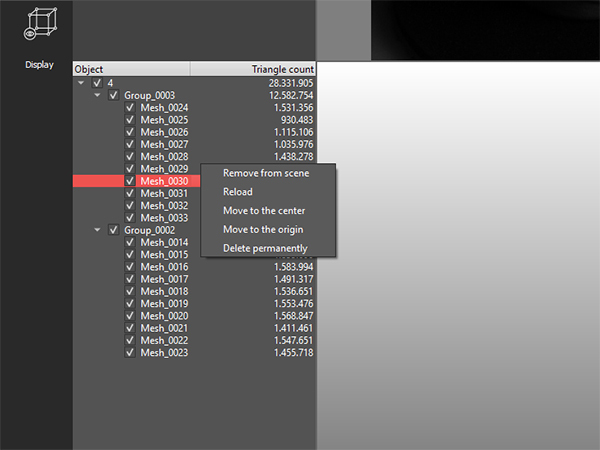 Additional commands for moving the camera in the 3D scene have been added. Now you can also move scans to the center of the 3D scene by right-clicking on the element in the project tree. 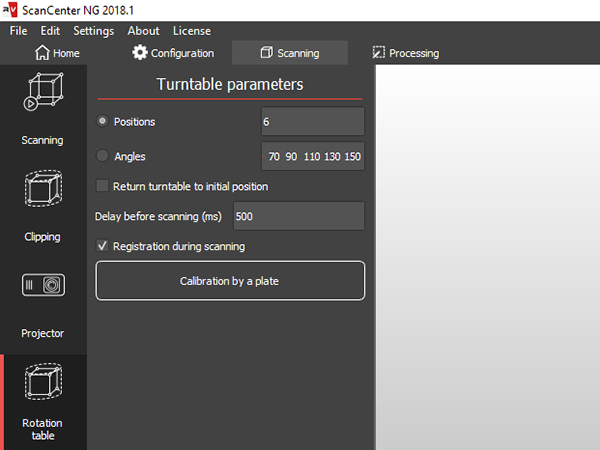 Scanning with an automatic turntable has become more handy. A new stage is added - automatic alignment of scans into groups which corrects possible minor offsets of the turntable axis relative to the stored value. Now the process goes faster - there is no need to often calibrate the turntable. If the automatic stitching has failed, you can still cancel it. Recovery of the clipped data. 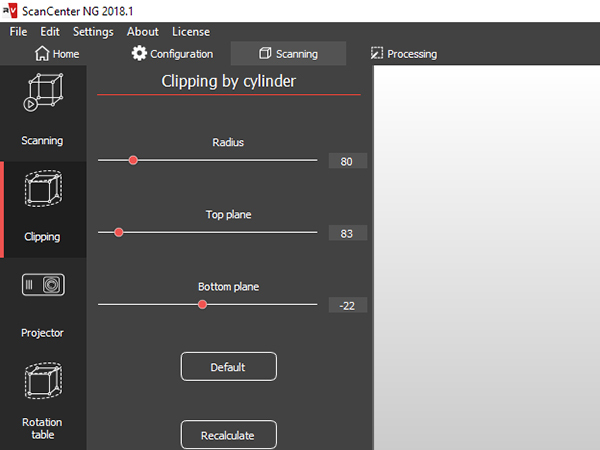 You can quickly cut off the surface under the object by lifting the bottom of the clipping cylinder and clicking "Truncation" - "Recalculate". And most importantly, if you delete a part of the object by mistake, you can return it. Adjust the cylinder size and recalculate the data, there is no need to scan the object again. Currently this function works only for projects on the automatic turntable. 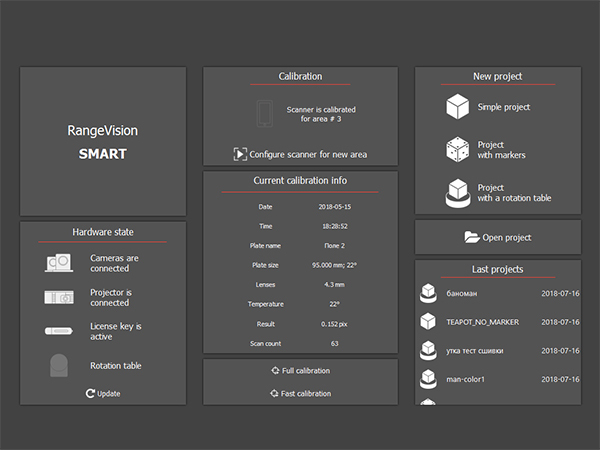 RangeVision software team continue to work on the ScanCenter NG and are waiting for feedback and suggestions from users. Tutorial videos on the work with ScanCenter NG are available in the downloading area. Watch a short demonstration video on working in ScanCenter NG with PRO and Spectrum 3D scanners.